Hi everybody Dan passed his CPA exams this week and I wanted to do something special for him to Celebrate. Since he eats out all the time at work, I knew he didn't care to go out. So as I was contemplating on what to make it was as if lightning bolt had hit me.. Cafe RIO of course..
1 can cokeWrap pork completely with foil, place in crock pot and pour 1/4 cup water around roast and about half can of coke. Cook for 8 hours on low. (YES, 8 hours! The longer you cook a pork roast, the easier it is to shred, the more tender it is, the more delicious it is. 8 hours is key!) Remove roast, drain juices, remove fat and shred. Dump the tomato sauces, remainder of coke and brown sugar into the crockpot, stir together and add shredded pork back in. Cook two additional hours on low. I wasn't a fan of the rice I made still can't find a good one. The creamy ranch tasted mayoie instead of ranchy. But it still was good. Guacamole I have mastered well I think so.. Mix avocados and juice lime. chop all veggies very finely and add to avocado. Taste to like your liking. I like mine more chunky but if your a smooth person put in the food processor to puree. I've made these in Ukraine almost every day and then all the time in college. 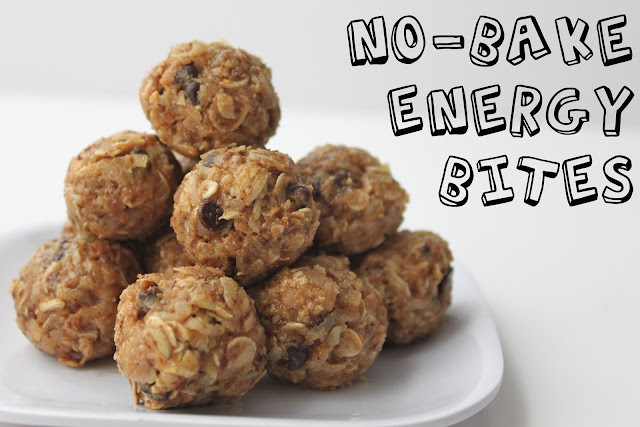 THey are so yummy I eat about 5 while i'm making them and then just like to snack on them during the day. Sift together flour and salt. Add oil. Add warm water 1/4 c. at a time mixing together. Roll out onto lightly floured surface. roll out into 10-12 small balls. Cover with towel for 15-30 mins and then roll out and place on griddle or pan make sure to do it on warm. I do want to try these out sometime but with the wheat. I discovered an amazing Soup recipe that is purely delicious and purely good for you. It is packed with vitamins and minerals and all the things that make your insides happy. You won't be disappointed with this one. I didn't have a lot of things on hand but make do and come up with your own variation. Let me know how you like it. To top it off i made some yummy Homemade wheat bread to go with it. I used only 4 cups of water and I didn't have zucchini, tomatoes. Instead the veggies i used were carrots, onions, mushrooms, green beans (not the canned nasty stuff but the fresh yummyness), spinach and kale. you can add whatever veggies you like. Place your bouillon cube into a medium sized bowl. Boil 6 cups of water and pour over the bouillon cube. Stir well to dissolve. Add bouillon mixture, tomatoes, red quinoa, black beans, and spices + seasonings. Bring to a boil and then simmer gently for 15 to 20 minutes. 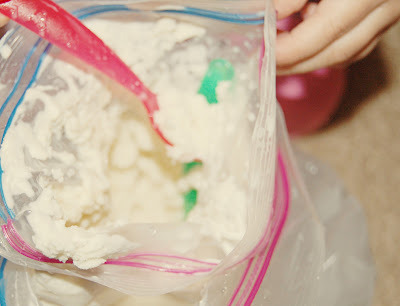 Need a quick dessert to make but don't want to look like you made a pre-packaged dessert. And if you got a lot of brownie mixes like I do then this is calling your name. make brownie mix according to directions. Place aluminum foil in 9x13 pan. pour brownie mix in pan and bake at 350 F until top is glossy and almost set. While cooking mix together Cheesecake part. I added a tid bit more than 1/4 c sugar. Just taste to your liking. I didn't have 4 pkg of cream cheese so this layer was really thin but I liked it that way... more brownie than cheesecake. When the brownies are almost set take them out of the oven and pour cream cheese mix on top. Put back in the oven for additional 15-30 mins. take them out and let cool then place them in the fridge for 4 hrs. Melt your chocolate (i added a bit of butter and milk to the chocolate) and drizzle over the top before serving. Cut into squares. These bad boys just tempt me from their container in the fridge all day. Good thing they are pretty healthy! Go ahead. Make them. I double dog dare you. ps-this took me like 15 minutes to mix up and then just a few to roll into balls. I saw a really really good sale on Garbonzo beans a few months ago. So I got some. And they have been sitting oh so patiently in my pantry since then. 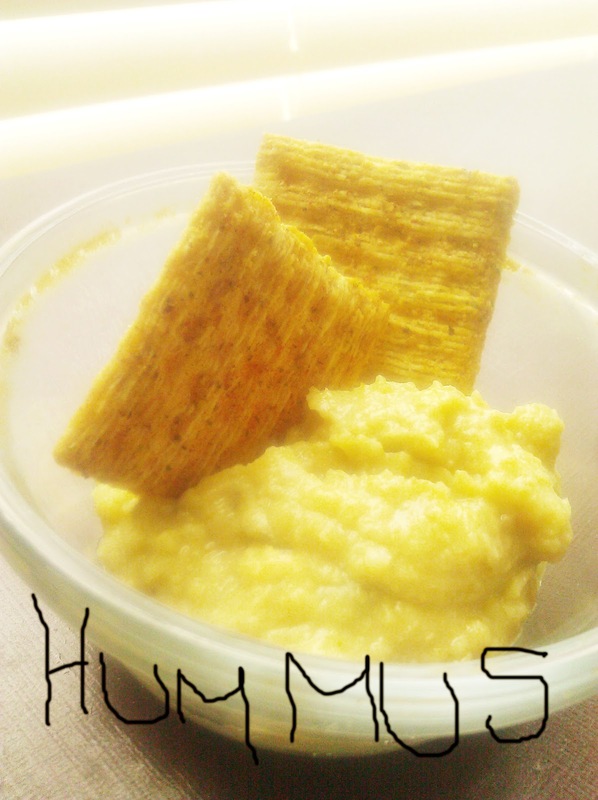 I decided to try my hand at making my own hummus. What do you think? The texture ended up a bit lumpy... like mashed potatoes. But I really love the flavor. I didn't want to use Tahini. Mostly because it is kinda expensive. So I did some research and used a bit of sesame seed oil and EVOO. How to make these bad boys. Delish! who knew meatball could be so yummy? Daniel's famous cookie recipe is finally being revealed. You don't know what true happiness is until you make and eat these. . .
You can either make 1 huge batch with your favorite chips or divide the batter and make varieties of cookies e.g. white chocolate chip, wcc and semi-sweet cc, milk cc, mint cc, ones with nuts etc. We made this bag if delight for FHE a few weeks ago. I did alter the recipe by doubling the ingredients but that was all. 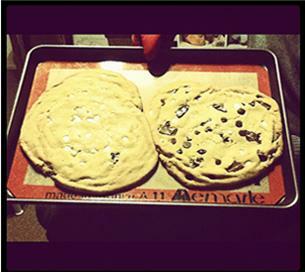 The other day I made this batch of chocolate chip cookies. So soft even days after. Pretty sure it is because of the pudding involved. I only made 2 pans worth but that left me with LOTS of left over cookie dough. And when is that EVER a bad thing?! I rolled up rest into a log, wrapped in plastic, and stored for later consumption. "Later" happened to be 6 hours later. I saw my silicone cupcake pan and thought "hmmm.... its like a cookie sheet." 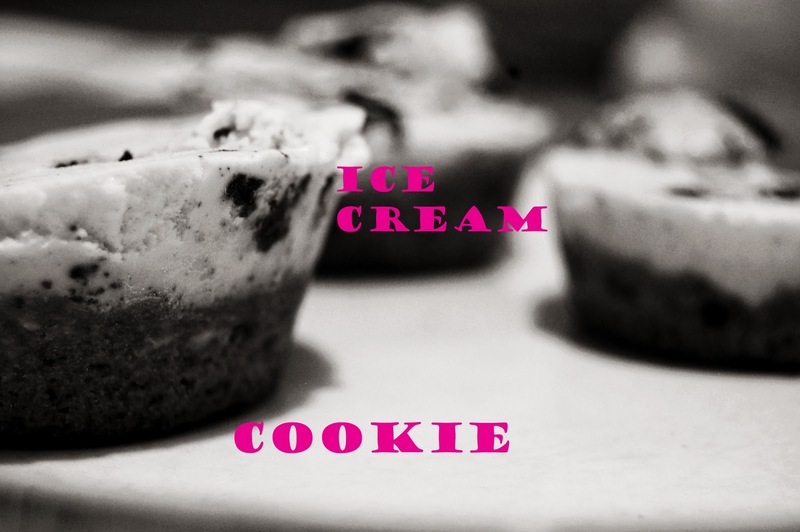 So I baked my cookies in the cupcake pas, and scooped some ice cream on top while it was still hot. They all went into the freezer together and came out a beautiful and delish marriage of all things yummy. And we made a batch every day until it was all gone. Here is a new fav of mine. I made this for Calvin's Blessing. I took a risk because i had never made it before and I had no idea what to expect BUT. . . it was a HIT meaning super delicious and I got lots of people asking for the recipe so i thought I'd share with you! I found two recipes that looked good and used a combination of both and added a few of my own ingredients. Enjoy. In a large soup pot set over medium-high flame, chicken broth, garlic, onion, and rice. Cook until soft and starting to get some color. Bring to boil. Add cumin and beans. Reduce heat, simmer 15 minutes. Stir in chicken cilantro, green peppers, pepper, and salt. Simmer for 5 minutes. Remove from heat and add lime juice, tomatoes and avocados stirring well. Serve with lime wedges. May place cooked rice in bottom of each bowl instead of putting in the soup uncooked. May add more avocado and cilantro on top.